Modern business owners are always looking for innovative ways to spread the word about their business. There are an endless number of ways that this can be done; however, each method varies in success. Thankfully, there is a method that has successfully stood the test of time: custom plastic bags. These amazing tools can be extremely beneficial to a business of any size. Any business owner who is unaware of these outstanding benefits should set aside some time to learn more about them. One of the best ways to market a business is by adding their logo to a number of different objects. Many business owners will opt for expensive marketing methods like billboards, bus stops and commercials. Although these methods may be efficient, they are extremely expensive. This makes them hard for smaller businesses to utilize. However, a business owner can purchase a large number of custom plastic bags for a fraction of the price of traditional marketing techniques. This gives business owners a respectable bang for their buck. Another benefit to this amazing marketing tool is that they are eye catching. Standard plastic bags will generally look bland and blend it with its surroundings. On the other hand, by customizing the plastic bag, it will be able to stand out in any environment; a colored plastic bag can be seen from a mile away. Whether it be a grocery store or in the streets, there is no denying that these unique bags will command attention. Unlike paper bags, plastic bags can often be reused multiple times; this is especially true if the bag is made out of high-quality materials. This longevity can be extremely beneficial for a business due to the fact that it can lead to free advertising. After making the purchase, the customer will often end up carrying around the plastic bag for a period of time. If it is made out of high-quality materials, the customer may use the bag for a number of other reasons (carrying lunch, laundry, etc). By carrying the bag around, the customer will, in a sense, be advertising the business for free. Thankfully, there are a number of plastic bag manufacturers that offer a wide variety of high-quality custom plastic bags. There are a plethora of important reasons why a business should purchase custom plastic bags. These amazing bags are affordable marketing tools, are eye catching and can be a source of free advertising for a business. 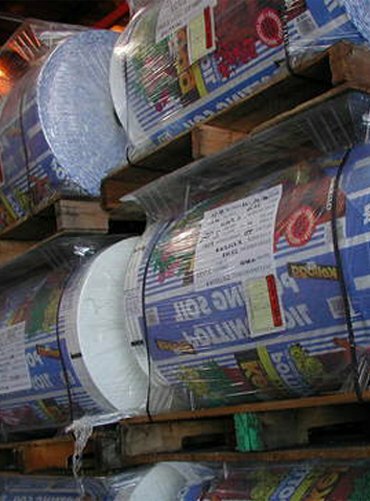 If you have any questions, comments or concerns about the reasons why all business owners should invest in custom plastic bags, be sure to get in contact with Polypak.